When will be Taigh Thorcuill next episode air date? Is Taigh Thorcuill renewed or cancelled? Where to countdown Taigh Thorcuill air dates? Is Taigh Thorcuill worth watching? Torcuil MacLaomainn hosts two chat show specials. The first episode celebrates Christmas, with Torcuil's guests including Donnie 'Dotaman' MacLeod, Bannan stars Debbie Mackay and D?l Eoin Mackinnon, and Mod gold-medallist Joy Dunlop. Plus, there is music from Atomic Piseag and Tidelines, as well as party games, presents and lots of laughs as Torcuil goes in search of the perfect Gaelic Christmas. 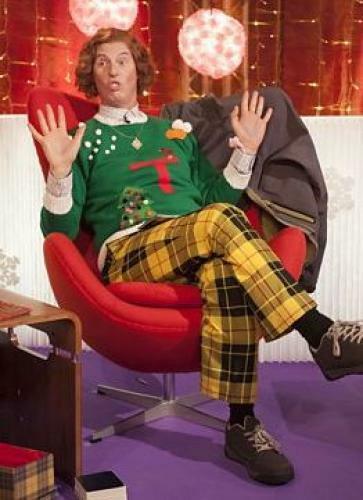 Its all about the perfect party this week on Torcuil's chat show 'Taigh Thorcuill'. Torcuil asks his guests about what makes a great ceilidh. Guests include sports reporter Calum 'Caxy' Macaulay, 'Rapal' host Emma Lamont, BBC newsreader Alasdair Fraser and Mod legend Christine Primrose. There's even cooking the best canapes for your party, and fantastic music from Gaelic choir Atomic Piseag and band Trail West. With party pieces from the guests and Torcuil himself showing off as ever, this show is full of laughs and entertainment from start to finish. Taigh Thorcuill next episode air date provides TVMaze for you. EpisoDate.com is your TV show guide to Countdown Taigh Thorcuill Episode Air Dates and to stay in touch with Taigh Thorcuill next episode Air Date and your others favorite TV Shows. Add the shows you like to a "Watchlist" and let the site take it from there.